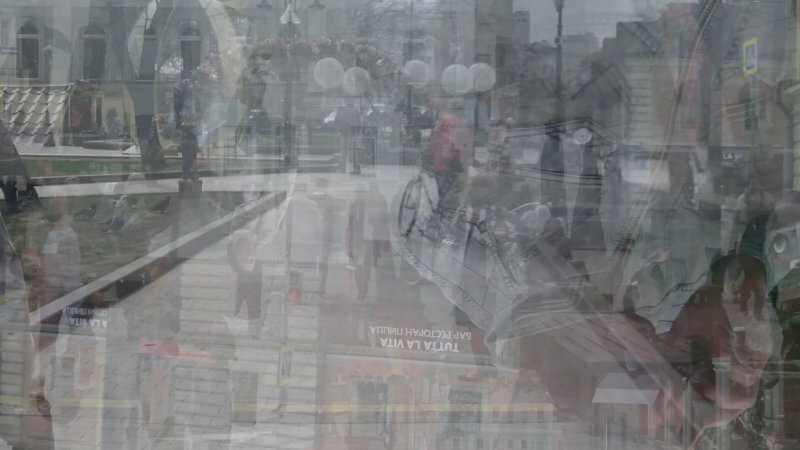 The authors of the project invite visitors to see the complex Brownian structures of the surrounding world, enclosed in the form of everyday life: a traffic flow or street bustle. The apparent meaninglessness of actions becomes the dynamic structure of reality. The project “Dynamic chaos” explores the variety of options for meaningless phenomena that surround us in daily life. The authors of such works as “The structure of death”, “The Structure of life”, “Myth and chaos”, “Boundary substance”, “Atmospheric singularity” and the “Original chaos” try to depict the borders of the absurd every day moments that eventually create the panoramic picture of our life. Life is the endless Brownian motion of particles and energies. It is unpredictable and chaotic in micro-manifestations and global processes. Death is stable and predictable. Life is a continuous change. The artists fix the viewer&apos;s attention on the usual, sometimes invisible episodes of everyday visual experience. Watching the usual life stories, a person begins to look at the chaos as a symbol of life. Life and death appear in the form of metaphors of movement and stillness, sometimes mixed in optical illusions.